Sun’s Equatorial radius is 696342±65 km, which is 109 times bigger than Earth’s. This means 1093 = 1295029 (almost 1.3 million) Earths could fit inside the Sun. Earth is the largest and densest of the inner planets, the only one known to have current geological activity, and the only place where life is known to exist. Its liquid hydrosphere is unique among the terrestrial planets, and it is the only planet where plate tectonics has been observed. Earth’s atmosphere is radically different from those of the other planets, having been altered by the presence of life to contain 21% free oxygen. It has one natural satellite, the Moon, the only large satellite of a terrestrial planet in the Solar System. 3. It takes 8 minutes and 19 seconds for light to travel from the Sun to the Earth. Light travels at a speed of 299,792 kilometers per second; 186,287 miles per second. It takes 499.0 seconds (8 minutes and 19 seconds) for light to travel from the Sun to the Earth, a distance called 1 Astronomical Unit. 4. Since at least the time of Pythagoras in 500 bc, no educated person believed the earth was flat. The concept of a spherical Earth dates back to around the 6th century BC, when it was mentioned in ancient Greek philosophy, but remained a matter of philosophical speculation until the 3rd century BC, when Hellenistic astronomy established the spherical shape of the earth as a physical given. 2200 years ago, Eratosthenes estimated the Earth’s circumference using math, without ever leaving Egypt. 5. Earth is the only planet whose name in English is not derived from a Greco-Roman god. Mercury: named after the Roman deity Mercury, the messenger to the gods. Venus: named after the Roman goddess of love and beauty. 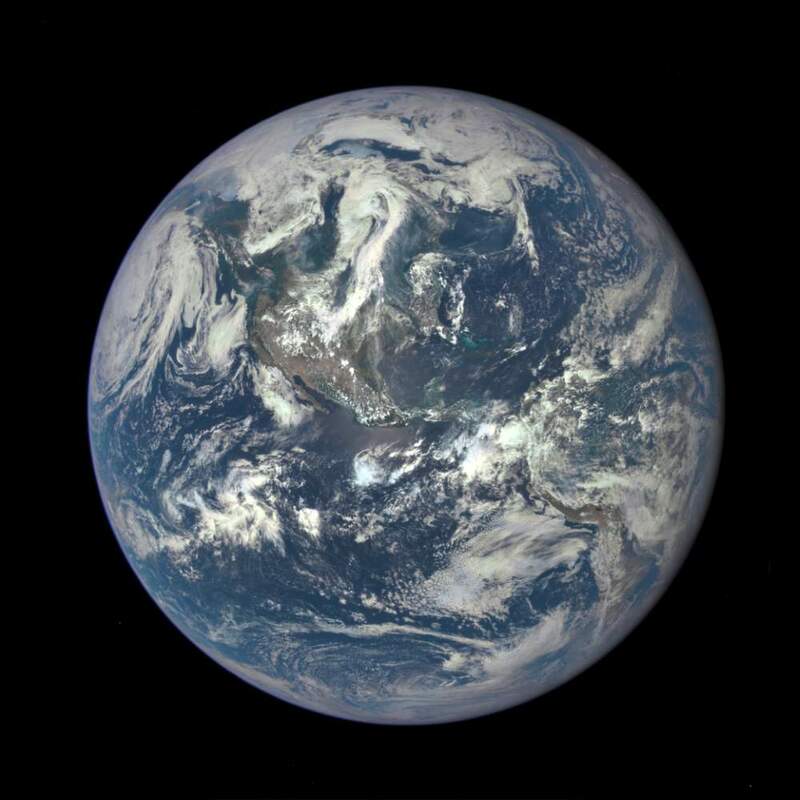 Earth: derived from both English and German words, ‘eor(th)e/ertha’ and ‘erde’, respectively, which mean ground. But, the handle’s creator is unknown. Mars: named after the Roman god of war. Jupiter: the Romans named it after their god Jupiter. Saturn: named after the Roman god of agriculture. Uranus: named after the Latinized version of the Greek god of the sky, Ouranos. Neptune: named after the Roman god of the sea. Pluto: in Greek religion and mythology, Pluto is the god of the underworld, son of Kronos and Rhea; also called Hades. 6. More than 2400 artificial satellites orbiting the Earth. The launch of the first artificial satellite by the then Soviet Union in 1957 marked the beginning of the utilization of space for science and commercial activity. During the Cold War, space was a prime area of competition between the Soviet Union and the U.S.In 1964 the first TV satellite was launched into a geostationary orbit to transmit the Olympic games from Tokyo. Later, Russian launch activities declined while other nations set up their own space programs. Thus, the number of objects in Earth orbit has increased steadily – by 200 per year on average. The debris objects shown in the images are an artist’s impression based on actual density data. However, the debris objects are shown at an exaggerated size to make them visible at the scale shown. 7. Earth is a fast-moving spacecraft which has a speed of 1.3 million miles per hour (2.1 million km/hr)! We’re all living in a fast-moving spacecraft named Earth. Our planet is moving around our sun in an elliptical (an ellipse which is very close to a circle) orbit. The Sun is (our solar system, the Sun, Earth and all the other planets and objects) whirls around the center of our galaxy. And, our galaxy and the other galaxies in our neighborhood are also rushing towards a structure called the Great Attractor, a region of space roughly 150 million light-years (one light year is about six trillion miles) away from us. This Great Attractor, having a mass 100 quadrillion times greater than our sun and span of 500 million light-years, is made of both the visible matter that we can see along with the so-called dark matter that we cannot see. 8. Between 100 and 300 tons of cosmic dust enter the Earth’s atmosphere every day. 9. The farthest distance from Earth an astronaut has ever traveled was during the Apollo 13 emergency. The flight passed over the far side of the Moon at an altitude of 254 kilometers (137 nautical miles) from the lunar surface, 400,171 km (248,655 mi) from Earth, a spaceflight record marking the farthest humans have ever traveled from Earth. 10. Each day, up to 4 billion meteoroids fall to Earth. 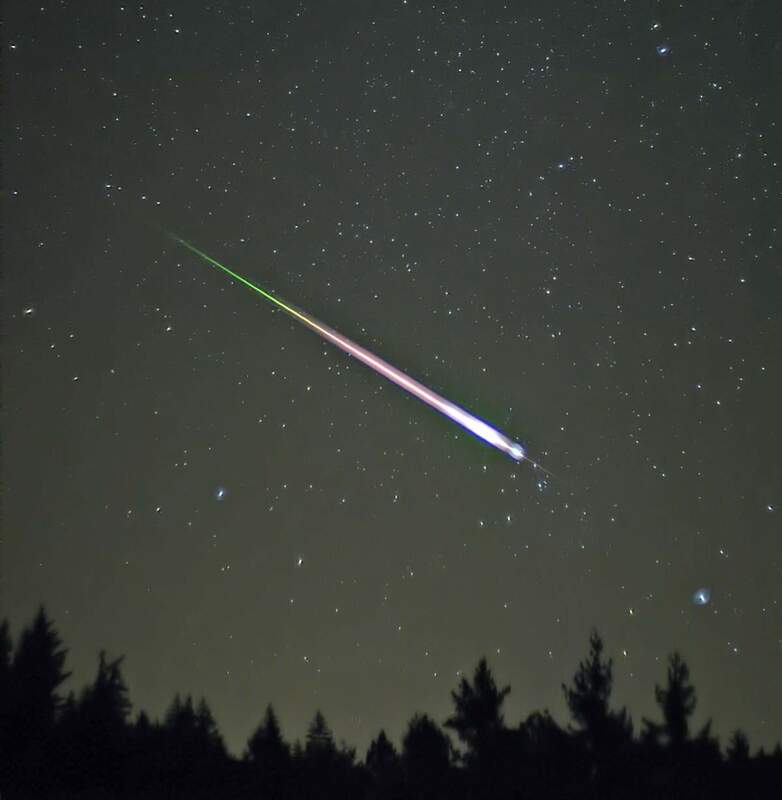 A meteoroid is a piece of stony or metallic debris which travels in outer space. Meteoroids travel around the Sun in a variety of orbits and at various speeds. The fastest meteoroids move at about 42 kilometers per second. Most meteoroids are about the size of a pebble. Previous PostAre we the first?Next PostHow deep is the ocean?